There are several tools available that can help analyze child count data. They are highlighted below with some suggested tips on how to use them. Filter state level data and compare with National data. Get report of all individual state data in a downloadable spreadsheet format. Select your state from the state filter drop-down on the report page. The online reports will be reduced to just the data for the selected state. Use the Export button next to the filter box to download the state data to a spreadsheet file. State-level data can be looked at multiple ways from this format, including creating data charts for presentations. 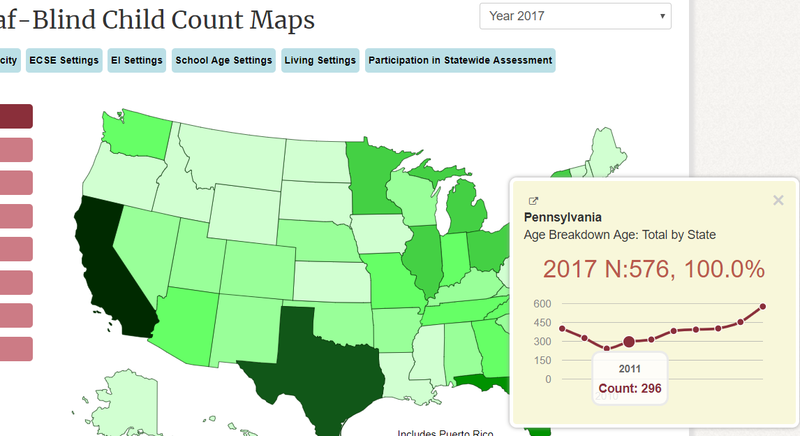 Quickly look at child count data across years with pop up map, drill down by number or percent. 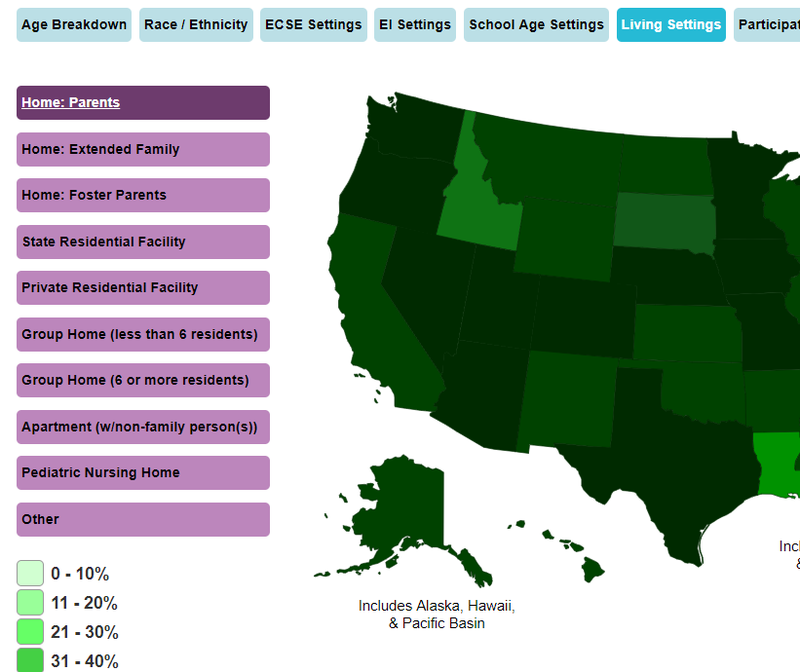 Click on your state to get an overview and interactive graph. Choose tabs across the top to change categories and tabs on the left to change variables. Features on the map and data tables below will change accordingly. 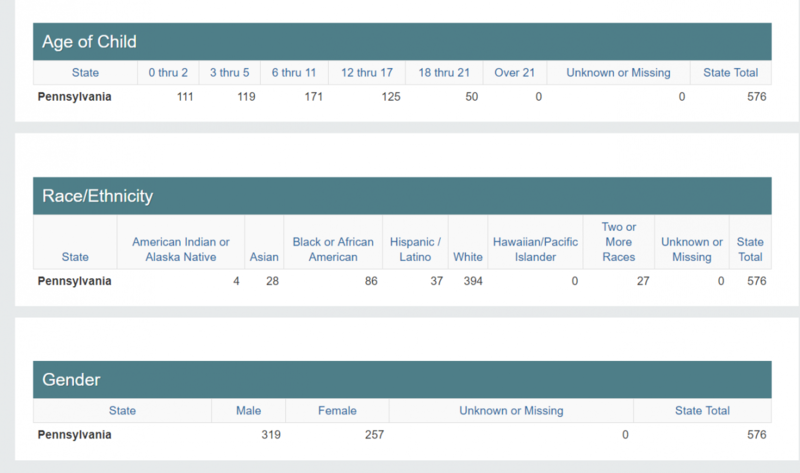 Full numeric and percentage data tables are displayed below the map. It is a guide for comprehensive planning, but also the pre-populated data tables are helpful.